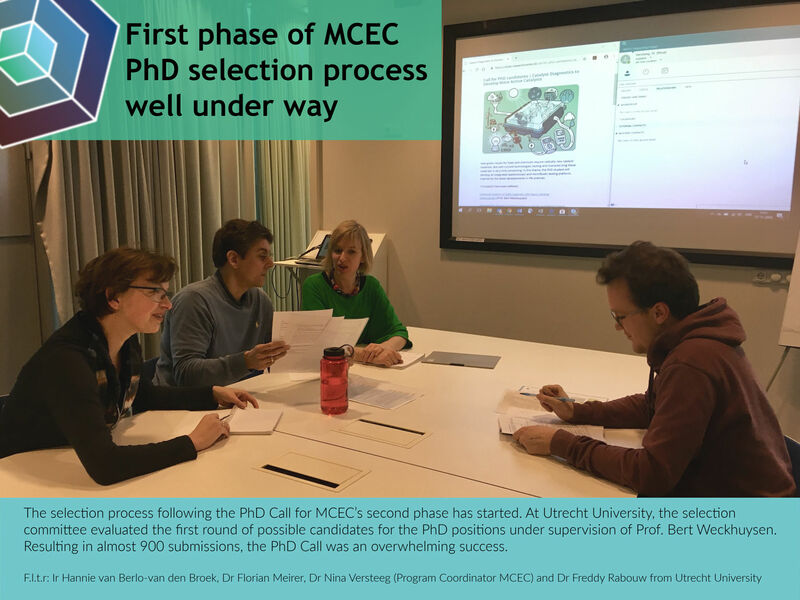 The selection process following the PhD Call for MCEC’s second phase has started. At Utrecht University, MCEC members Florian Meirer and Freddy Rabouw, Program Coordinator Nina Versteeg and Hannie van Berlo-van den Broek (ARC CBBC) came together to discuss the first round of candidates. Since our PhD Call received almost 900 submissions, we expect these discussions to continue well into December. Naturally, candidates will be informed as soon as possible. We wish our committees in Utrecht, Eindhoven and Twente as well as all the candidates every success! Image used on Twitter and other (social) media outlets.